With economic development, the number of vehicles increases continuously, and the problems of petroleum depletion and air pollution ensue accordingly. Although electric vehicles are a potential solution in the long term, internal combustion engines are still the primary source of vehicle power for the next few decades that cannot be displaced. 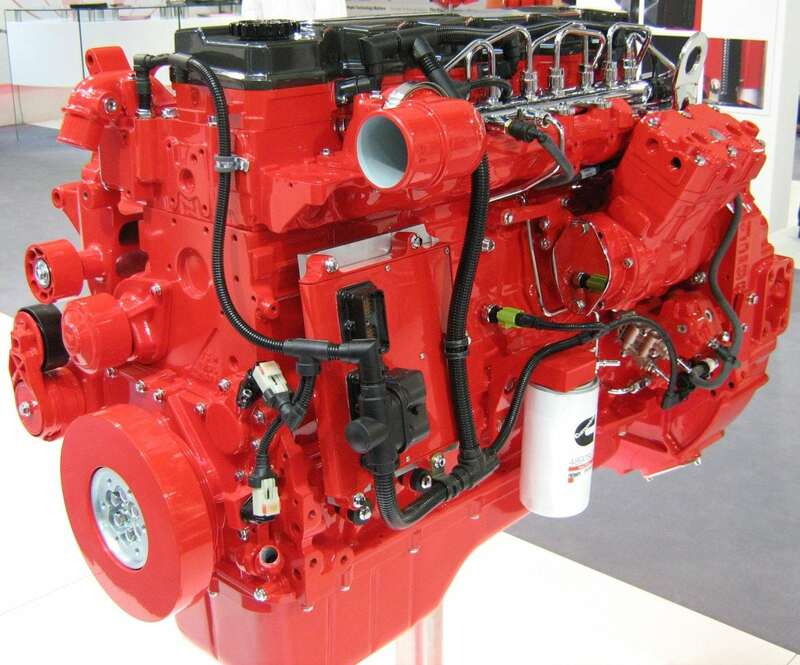 Thus, increasing the fuel efficiency of internal combustion engines is an urgent task. The first law of thermodynamics has been widely used to quantify the fuel efficiency of internal combustion engines. However, besides the quantity of energy, the quality of energy is another important indicator of energy utilization. So the second law (exergy) of thermodynamics is introduced to provide more thorough insight into the thermodynamic process in internal combustion engines. Consequently, the sources and magnitudes of the energy wasted in the system can be evaluated, and a guide to take full advantage of system energy can be provided. In the second law of thermodynamics, exergy is the maximum theoretical work obtainable from a system when the pressure, temperature, and component concentrations of the system come into equilibrium with those of reference dead state . Normally, p0=1.01325 bar and T0=298.15 K are chosen as the pressure and temperature of reference dead state, respectively. Meanwhile, the molar compositions of reference dead state are selected as 20.35% O2, 75.67% N2, 0.03% CO2, 3.03% H2O, and 0.92% other substances . In an engine cycle, the exergy is usually classified into three categories: output exergy, exergy destruction, and exergy transfer through heat transfer, exhaust gases, and incomplete combustion products. Output exergy can be directly utilized, and exergy transfer can be converted into output power through recovery devices in theory based on the second law of thermodynamics . The wasted part of energy is called exergy destruction or irreversibility in the second law of thermodynamics. It is the destroyed exergy during the working process, which is an inevitable result of energy degradation. Therefore, exergy destruction determines the maximum energy can be potentially extracted from the system to produce work, and it should be reduced as low as possible. The energy and exergy distributions of a conventional diesel combustion engine are evaluated in Fig. 1 . It is found that the fractions of heat transfer losses and exhaust losses in the second law of thermodynamics are smaller than those in the first law of thermodynamics, which indicates that energy in heat transfer losses and exhaust losses cannot be fully converted into exergy. Moreover, the sum of exergy transfer due to incomplete combustion, heat transfer, and exhaust is comparable to that of exergy output. Thus, utilizing the exergy transfer effectively is significant to further increase energy utilization efficiency. According to previous studies , the combustion process accounts for more than 90% of the total exergy destruction under typical operating conditions in engines. So the exergy destruction during engine combustion process is a major concern here. 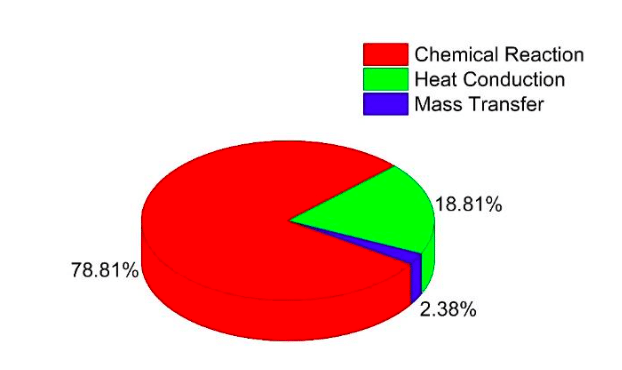 The exergy destruction during combustion process can be classified into three parts, including chemical reaction, heat conduction, and mass diffusion. Their distributions in a conventional diesel combustion engine are shown in Fig. 2. It can be found that the chemical reaction source generates the most exergy destruction during the combustion process, then followed by the heat conduction source, and the mass transfer source is the least. According to our study, exergy destruction due to heat conduction is mainly associated with an in-cylinder temperature gradient. So more homogeneous combustion will produce the smaller exergy destruction due to heat conduction, such as homogeneous charge compression ignition (HCCI) . towards the stoichiometric ratio also leads to the reduction of exergy destruction. Once the equivalence ratio increases larger than 1, the exergy destruction will increase sharply. Thus, the stoichiometric combustion is favorable with respect to reduce exergy destruction. These findings are described in the article entitled Comprehensive analysis of exergy destruction sources in different engine combustion regimes, recently published in the journal Energy. This work was conducted by Yaopeng Li, Ming Jia, and Yachao Chang from Dalian University of Technology, and Sage L. Kokjohn and Rolf D. Reitz from the University of Wisconsin-Madison. Moran MJ, Shapiro HN, Boettner DD, Bailey MB. Fundamentals of engineering thermodynamics. New Jersey: John Wiley & Sons, 2010. Moran MJ. Availability analysis: a guide to efficient energy use. New Jersey: Prentice-Hall, 1982. Rakopoulos C, Kyritsis D. Comparative second-law analysis of internal combustion engine operation for methane, methanol, and dodecane fuels. Energy, 2001, 26: 705e22. Li Y, Jia M, Chang Y, et al. Thermodynamic energy and exergy analysis of three different engine combustion regimes. Applied Energy, 2016, 180: 849-858. Primus R, Flynn P. The assessment of losses in diesel engines using second law analysis. Comput Aided Eng Energy Syst, 1986, 3: 61e8. Yao M, Zheng Z, Liu H. Progress and recent trends in homogeneous charge compression ignition (HCCI) engines. Prog Energy and Combust Sci, 2009, 35(5): 398-437. Ming is a research scientist and associate professor at the Dalian University of Technology. Previous Post« Previous What Happens During Interphase Of A Cell Cycle?